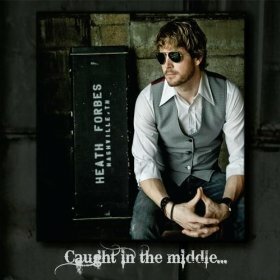 Hall of the Mountain King: Review: Heath Forbes, "Caught in the Middle"
Then there's the trio of covers on "Caught in the Middle," all with connections to the northeastern part of the state. The first is Better Than Ezra's "Southern Girl," penned by Monroe, La., native Kevin Griffin. Forbes' country version of the song is fairly faithful in melody to the alternative rock tune, but has a bit more grit in the guitars and vocals. Then there's the old-school traditional country number "Too Many Honky Tonks," written by Ruston regular, Monty Russell, who just about every country musician out of the area has played with at one point or another. The most obvious tribute, though, is his version of Clarence "Gatemouth" Brown's "Monroe, Louisiana." Like the Better Than Ezra cover, the song stays faithful to the original melody, but adds some tasteful electric guitar leads. When Forbes sings "Monroe, Louisiana is a beer drinking town/I've still got some friends there that won't let me down," there's a bit more twang than in Gatemouth's gruffer delivery, but it's just as heartfelt and just as much fun. Forbes has also surrounded himself with Louisiana players, many familiar to music fans in the northern part of the state, including bassist and background singer James Cook (who also co-produced the record with Forbes), drummer Derek Mixon, bassist Leon Medica of Louisiana's LeRoux and New Orleans-born guitarist Dan Cohen. The connection to his home goes a bit deeper than lyrics and musicians, though. On "Caught in the Middle," you'll hear a blending of many of the sounds that make up the musical landscape of northern Louisiana. He mixes classic country influence, like the aforementioned Hank Williams Jr. overtones of "Where the Cypress Meet the Pine" and his cover of Russell's "Too Many Honky Tonks," with just a hint of more contemporary country sounds, particularly on "Meet Me in Memphis" and the upbeat "I Can't Win." There's also a notable college rock influence running throughout the record, from the Better Than Ezra cover to the jangly "Same Damn Town," which I could hear on a college radio station as easily on a country one. That alternative sound creeps into the guitars and melodies on quite a few of the songs, though never strongly enough to turn off the country crowd. Just a little hint of southern Louisiana arrives with a Cajun fiddle on one of the record's standout tracks, "New Orleans," which offers up a Johnny Cash-style beat and a vocal delivery that's, at times, reminiscent of a Waylon Jennings tune. Finally, Forbes closes the record with a one-two punch of Southern rock on "Leave Me Alone" and "Don't Wanna Go Back Home." The first is a fine Southern rocker with a strong melody and some hot guitar work, while the second is just a fun way to end the journey the record takes you on. While "Caught in the Middle" will likely be labeled a country album, it's not just a record for country music fans. It's a record for Southern rock fans, a record for alternative fans that don't mind a little grit and twang in their music, and most importantly, a soundtrack for just about anyone that grew up in the rural areas of northeastern Louisiana. It's also a promising start to Forbes' Nashville career.